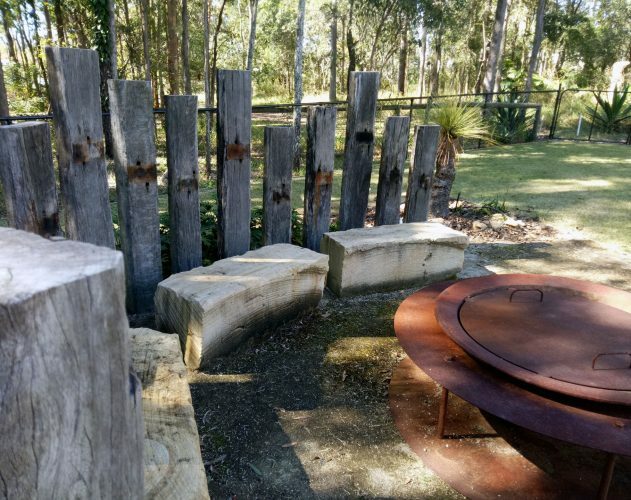 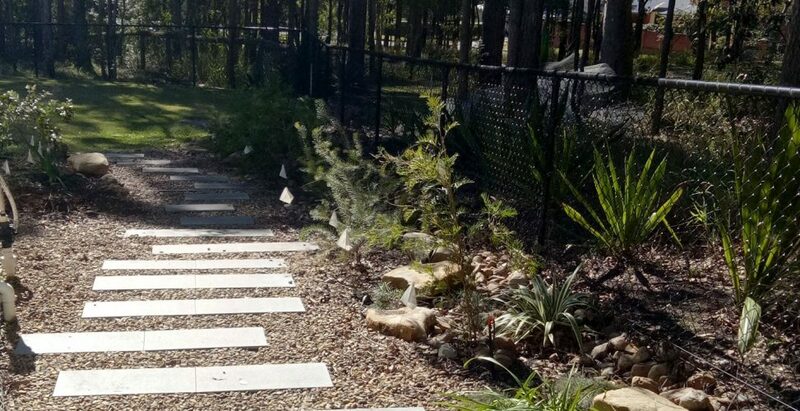 Enhancing the beautiful bush surroundings of Fig Tree Pocket, this design uses natural materials – timber logs, sandstone blocks and a crushed gravel to create a feature fire place in the middle of the garden. 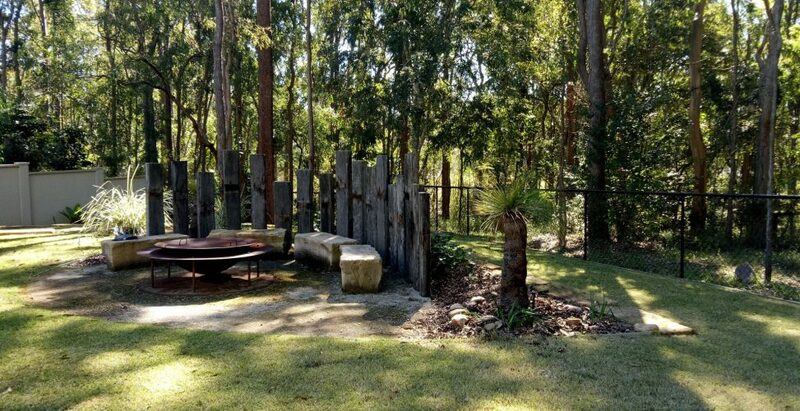 Sheltered by the existing Eucalypt woodlands, and an Australian themed garden bed, the fireplace bends into its backdrop becoming invisible to the homeowner when up at the house level. 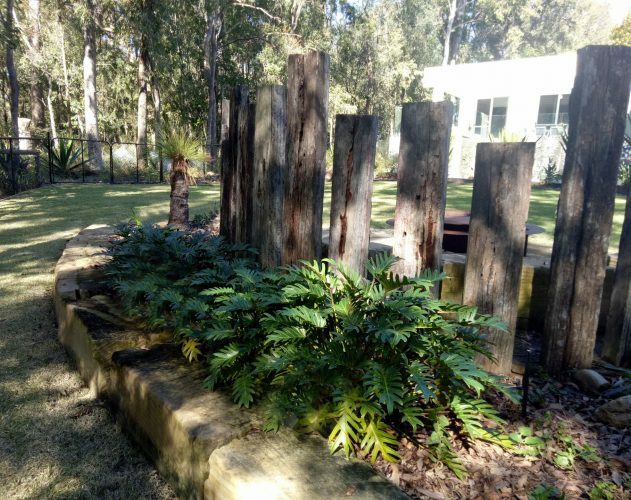 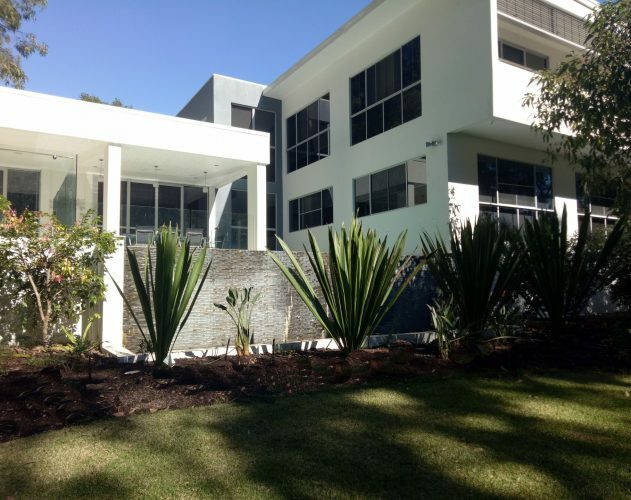 All planting is kept minimal, with structural planting like large Doryanthes as features, to highlight the edifices and keep the views unobstructed from the house and pool level.